Surely, you must be thinking, this phrase is outdated. Today’s marketers can track just about anything with cookie data, attribution models, and Google Analytics. 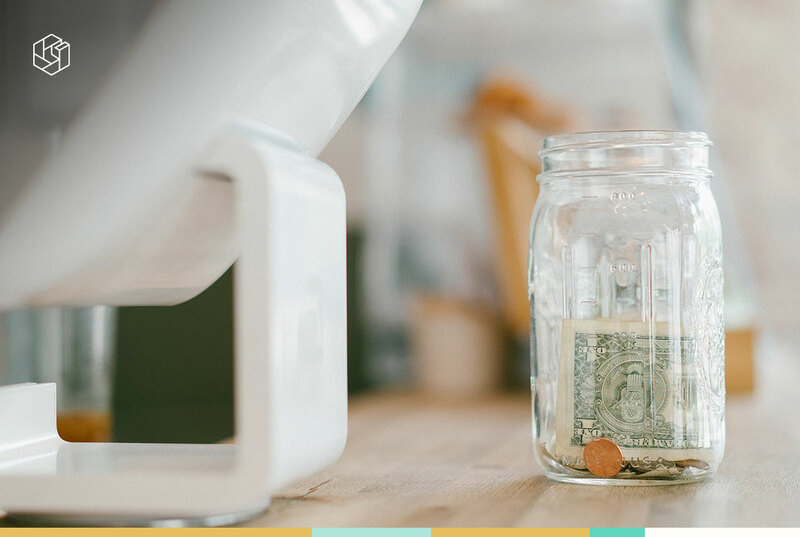 With those vastly improved analytical capabilities, you would expect marketing budgets to be mostly spent where it makes a positive return. Not quite. Especially on Google Shopping, many of our new and prospective clients are not beating the 50% effectiveness hurdle. 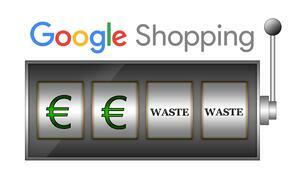 Not having insights and tools beyond AdWords, made Google Shopping management feel like gambling for them. With the ever-growing importance of Google Shopping as an acquisition channel, gaining control is vital in maximizing profitability. In Omnia’s Google Shopping management software, data from AdWords and Analytics is combined with the client her internal data and our competitor prices. Consequently, we can make smart cross-sections needed to split your marketing spend in the half that earns money and the half that is wasted. By moving your spend to the correct half, you are not only saving money but also increasing your return. As you will see, the reasoning behind them is purely common sense. Anyone would implement them if they had the required data and insights. That is where Omnia comes in. To make a profit, you need enough margin to carry the marketing cost. Let’s say you pay 50 cents per click. If you need 40 clicks to get a conversion (conversion rate of 2.5%), your marketing cost per sold product is €20 (€0.50*40). If your margin on this particular product is €15, you lose €5 for every sold product. When using AdWords to manage your shopping campaigns, you are probably trying to maintain profitability by using a ROAS (Return On Ad Spend) target. The goal here is to maximize sales as long as the ROAS is above or at the target. If the average margin percentage over all products is 20%, the ROAS needs to be at least 5 (100/20). You might even use Google’s Target ROAS or Goal Optimized. They both automate bids based on AdWords ROAS. This might seem desirable, but there is a catch. The problem with this approach is that you are treating all products as though they have the same margin. Take the example below. Both products are at the minimum ROAS of 5, and should thus be profitable. Taking into account the actual product margins, however, shows that Product A incurred a loss of €50. Moreover, Product A will likely be a popular product at a competitive price (explaining the low margin) and pull in the majority of the marketing budget. So more budget to the losing product and less budget to the profitable product. Of course, knowing the difference in margin between these products would prompt bid change by any marketer. However, doing this manually and daily for all products is not feasible. Having the right data - accurate, complete and real-time margins - for all products, and incorporating this in your bids automatically, therefore, presents an enormous improvement opportunity. This insight was the first inspiration for Omnia’s Dynamic Marketing module, which generates new bids every hour, incorporating actual margins on the individual product level. Let’s say you are a coffee machine dealer. Two people cross your shop. One is interested in ‘espresso machine’. You don’t know if he’s in a buying process or just looking for information. The other is interested in ‘Philips 3100 EP3550/00’. In this case, you know he is interested in buying the exact model you have in stock. For who do you put in more of effort to get them in your shop? Naturally, you would put in more effort for ‘Philips 3100 EP3550/00’. With Google Shopping ads, however, you are likely paying more for ‘espresso machine’. However, without an ‘intent-segmented campaign structure’ (more on that later), you will have no way of knowing nor having the ability to change it. With Google’s Text Ads, you bid specifically on keywords. With Google Shopping Ads you bid on products. You have no direct control over who sees the ads and to which consumers the marketing spend goes. This means that the majority of your budget could go to broad ‘espresso machine’ type traffic, while it is the undervalued specific ‘Philips 3100 EP3550/00’ traffic that actually brings in the conversions. More often than not, this is exactly the case. Take the example of an anonymized client’s old Google Shopping results below. 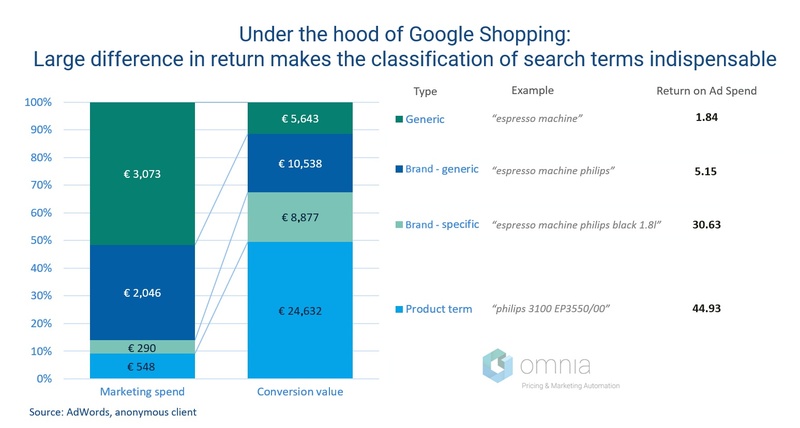 The graphic above shows a breakdown of the client’s Google Shopping results by search term (what people who clicked the ad searched for), before using Omnia. The cost and revenue are shown by search term specificity (Type). More than 50% of the cost goes to Generic search terms. However, they only bring in 11% the revenue. With a meager ROAS of 1.8 (€5,600/€3,000), it looks like they are losing money in this area. On the other end, only 9% of the budget goes to Product terms, yet they make up 50% of the revenue. Here, an astounding ROAS of 44.93 is realized (€24,600/€550). Anyone can see it makes sense to spend more on Product terms and less on Generic terms. The problem, again, is that marketers do not have the required data/tools. First you need a system to automatically recognize and classify search terms, and second, you need a campaign structure to adjust your bids for each search term type. When both are in place, tremendous performance improvements are made. Omnia is now able to solve both problems. Our newly developed search term recognition tool automatically distributes search terms to 5 different Google Shopping campaigns, each responsible for a specific search term type. Among those are the ‘Product terms campaign’ and the ‘Category terms campaign’ (generic). The Omnia Dynamic Marketing bid engine automatically adjusts bids based on the campaign’s performance, resulting in higher bids (more spend) for Product terms and lower bids (less spend) for Generic terms. For more information on this campaign structure, see the following blog post: 5-level Google Shopping Structure. It might sound incredible, but the current price is not always used as an input for marketing decisions. It makes sense why though when you place yourself in the marketer’s shoes. As a marketer, one of your tasks is adjusting bids (max. CPC’s) for products on Google Shopping. You see the performance of Product X below, for the last 7 days. The solid conversion rate of 5.1% prompts you to increase its bid. The underlying assumption is that the conversion rate is constant. You expect the past average conversion rate to be indicative of its future performance. In fact, it is necessary in order to make decisions based on the data provided in Google AdWords Still, it can be very costly. 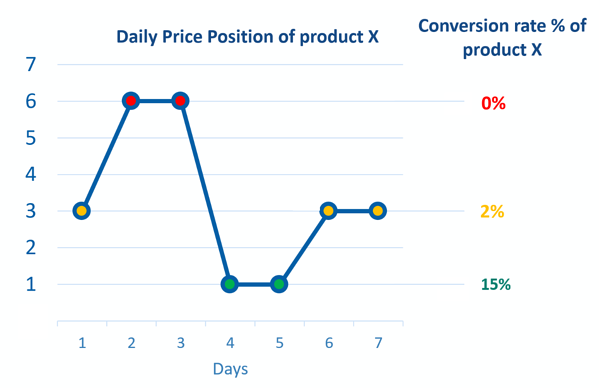 Including Omnia’s competitor pricing insights, shows that a product’s conversion rate depends a lot on its pricing. Especially on its Price Position (1 = the cheapest price in the market, 2 = second cheapest, etc). Take a look at Product X’s performance by day this time, including its Price Position. Over the last 7 days, the product’s price position changed multiple times. It went from 3 to 6, to 1 (cheapest in the market), back to 3. These changes can be due to the subject company changing the price of X, but it does not have to be. It could also be because the company’s competitor’s price changed, while the price of X stayed the same. Clearly, we are dealing with a ‘price elastic’ product here. Its volume is sensitive to price changes, as most high traffic products are. It sells like hotcakes at position 1 (15% conversion rate), barely sells at position 3 (2%), and doesn’t sell at all at price position 6. See the changes and accompanying conversion rates again in the graph below. Basing your bids on the average 5.1% conversion rate, therefore, makes you lose money on all price positions. You are overspending and throwing away budget at price position 3 and 6, while you are underspending and losing conversions at price position 1. Having access to competitor pricing data is therefore tremendously valuable. It allows you to attach conversion rates to pricing, so you know what is expected at the current price (position). Omnia further automates this. With the right configuration, the bids will automatically be adjusted for the product’s real-time price competitiveness. Let’s assume that Product X gained the 1st price position on day 4 by lowering its price while the purchase price remained the same. Combining all three tips, Omnia would adjust bids according to (tip 1) the decreased margin, (tip 3) the higher conversion rate, while (tip 2) also accounting for search term specificity. Using Omnia will thus give you a competitive advantage towards those solely relying on AdWords data and using Target ROAS (or Goal Optimized). Don't let Google Shopping (bid) management be like gambling. Make sure you have the right data and tools to know where your budget is wasted, and adjust your bids accordingly. Do you use Omnia's Dynamic Marketing and Pricewatch? Then use these three tips to cut costs, gain more revenue, or both. Look further than AdWords ROAS: Guarantee profitability by letting Omnia calculate optimal bids on product level based on actual purchase prices, supplier conditions, and logistical costs per product. Base your bids on the search term: Implement the 5-level campaign structure and let our search term recognition tool automatically identify keywords and add them in AdWords. Include realtime price competitiveness: A product does not have a conversion rate. Only a products at a specific price point has a conversion rate. Use Pricewatch data to adjust your bids according to your current price versus your competitors. Interested in Dynamic Marketing and/or Pricewatch? Feel free to contact us (+31 (0)85 047 92 40 / info@omniaretail.com). Not an Omnia client yet? Click here to request a free demo.